The Supreme Court of the United States recently entered a decision that benefits mortgage lenders. 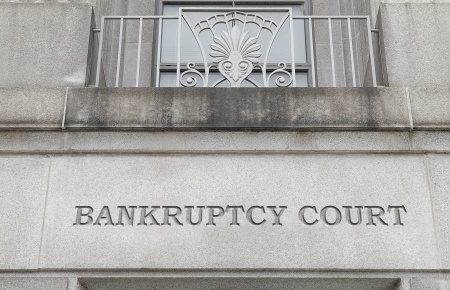 The highest court overturned a previous decision that allowed a debtor in a Chapter 7 bankruptcy to “strip down” a second mortgage if there was not any value in the property beyond the primary mortgage. The premise is that if there is not enough value in the property to cover the senior lien, then the junior lien is deemed unsecured and the mortgage lien could be stripped off the property, thus decreasing the overall debt on the property. For years, stripping off fully unsecured second mortgages in chapter 13 bankruptcies has been allowed, but in 2013 the 11th Circuit Court of Appeals held that a strip off of an unsecured second lien was permissible in a chapter 7 case. Bank of America challenged this decision in the Caulkett case. When David Caulkett filed for chapter 7 bankruptcy, his property was subject to two mortgage liens. Since the debt owed on his first mortgage exceeded the property’s value, his second mortgage was considered to be “completely underwater.” Caulkett moved that the junior lien, held by Bank of America, should be voided due to these circumstances. On June 1st, 2015, the United States Supreme Court came to a unanimous decision in the case of Bank of America vs. Caulkett. The justices ruled in favor of the bank, holding that underwater junior liens cannot be stripped-off in chapter 7 bankruptcy cases. The decision to forbid avoidance of these liens ends a two year period of time where debtors in Chapter 7 cases in the 11th Circuit where able to strip off mortgages. Interestingly, there are now some bankruptcy judges and attorneys that question the viability of stripping off second mortgages in Chapter 13 cases, which has been allowed since the U.S. Supreme Court case of Dewsnup vs. Timm in 1997. It is anticipated that further litigation will follow in the wake of the Caulkett decision and the U.S. Supreme Court may have this issue before them again in the future as it pertains strip offs in Chapter 13 cases. Not all bankruptcies are the same; they each have a different set of facts and require a unique, strategic approach. In some cases, while it is now understood that a second mortgage may not be completely avoided in Chapter 7 and there is a question about strip offs in Chapter 13, negotiation for a settlement lower than the full amount of the lien is entirely possible. To learn how we can help with your bankruptcy, schedule a free consultation with our West Palm Beach bankruptcy attorneys. If you are not in West Palm Beach; No problem. We service clients throughout the Treasure Coast areas of Martin County, St. Lucie County, and Indian River County as well.